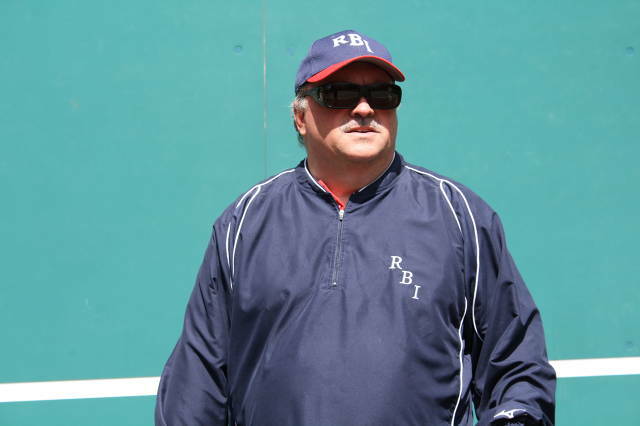 BALTIMORE, Md.—The Maryland District of the Amateur Athletic Union of the United States (AAU) has announced that Mike Graham, manager of the advanced skills development team Maryland RBI affiliated with Ruth’s Baseball Ideals Baseball Club (Annapolis, Md. ), has been named the 2016 Maryland AAU Baseball Club Executive of the Year and nominee for the William "Bill"​ Stevens Maryland AAU Club Executive of the Year Award in all AAU sports. The Bill Stevens Award, decided by a vote of AAU officials at the district’s annual fall meetings in Baltimore, Md., is given annually to the district’s outstanding executive in AAU Sports programs for baseball, basketball, cheerleading, football, golf, jump rope, martial arts, swimming, volleyball, and weightlifting. Graham recently completed his seventh year at the Maryland RBI helm and fifth in AAU Baseball, culminating in a record three consecutive Maryland AAU State Championships (2012, ’13, ’14) and earning a Maryland AAU record-setting number of five consecutive AAU National Championships invitation-only or automatic bids, including one appearance in the AAU National Championships, finishing #5 in the nation (’13). In 2016, Graham was named AAU Baseball International Ambassador Coach and appointed to the AAU Baseball National Executive Committee (the U.S. governing body for AAU USA amateur baseball); and received the Major League Baseball (MLB) Coach Certification. With AAU and Maryland RBI coaching colleagues head coach Chris Cummings and associate head coach Jim Hoyer, he organized and led the Sant Boi Barcelona Falcons, a Collegiate Baseball League Europe team of college, Maryland AAU and international baseball players, in elite international competition to the CBLE 2016 Western European Division Championship in Great Britain, France, Spain, and Holland. In addition to helping as Maryland RBI bench coach, Graham oversees and manages the roster, scouting and college recruiting for the team. Under his leadership Maryland RBI became a Mid-Atlantic States regional brand with national profile. Graham will be acknowledged by Ben DuBose, Maryland District Governor, in the Baseball Awards Category during the upcoming 31st AAU Annual Sports Awards Banquet for Outstanding Athletes, Coaches and Volunteers in all AAU sports in Maryland on Sunday, November 13, 2016. The banquet, attended by over a thousand AAU participants representing Maryland’s 22,000 AAU athletes and volunteers, is the highlight event of the year for the Maryland district of AAU. The annual event celebrates those who have distinguished themselves in AAU competitions and remembers the team and individual triumphs and great moments shared in the past year participating in AAU sports programs.